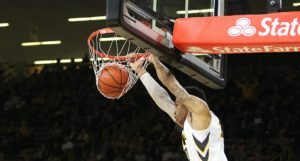 IOWA CITY, IA—The Hawkeyes basketball team kicked off family weekend the way they were supposed to, with a win over the Kennesaw State Owls by the score of 91-74. 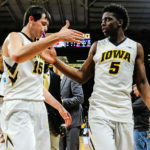 It was all Iowa from the get-go, they began the game with a 9-0 run and never looked back. As expected Peter Jok was the centerpiece for the Iowa offence and defense. He lead both teams in scoring with 27 points on 11-19 shooting. 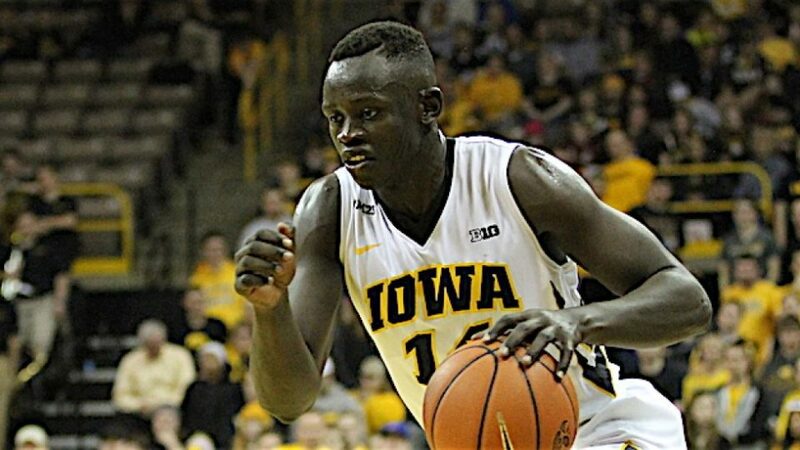 In order for the Hawkeyes to succeed they’re going to need Jok to continue to put up points. One of the things going in to tonight game is seeing if the Hawkeyes can find their number two guy behind Jok. 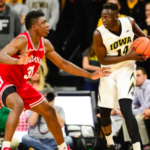 Going into tonight’s game many thought that guy would be Tyler Cook, however, Cook struggled to get anything going scoring 6 points on 1-7 shooting he also had 4 turnovers. He will look to have a better game on Sunday. Some more concerns for the Hawkeyes is the fact that they had 17 turnovers. 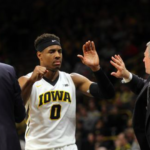 Something that worked well for the Hawkeyes was their bench, they got 36 points from their bench including an extremely impressive showing form Ahmad Wagner. He had 12 points 5 rebounds 4 assists 4 blocks and 2 steals, his performance did not go unnoticed by the senior leader. “Ahmad really impressed me, I think he played really well.” Said Peter Jok. Pemsl was the other player off the bench with double figures. He finished the night with 10 points and 6 rebounds. Overall it was a pretty successful shooting night for the Hawkeyes as they shot .500 from the field. They also were able to give some valuable playing time to some of their young players.12 different players saw action tonight, which is important for this young team in order for them to grow. The Hawkeyes next game is this Sunday at 2:30pm at Carver-Hawkeye Arena against the Savanah State Tigers, another game they hope to win.